Tomorrow I've scheduled some pretty flower things to show you. After a much needed restful month I've got all my girls back in the studio and we're slowly getting back into gear with help from a package of peanut butter cups. Those are some labels of mighty awesomeness. 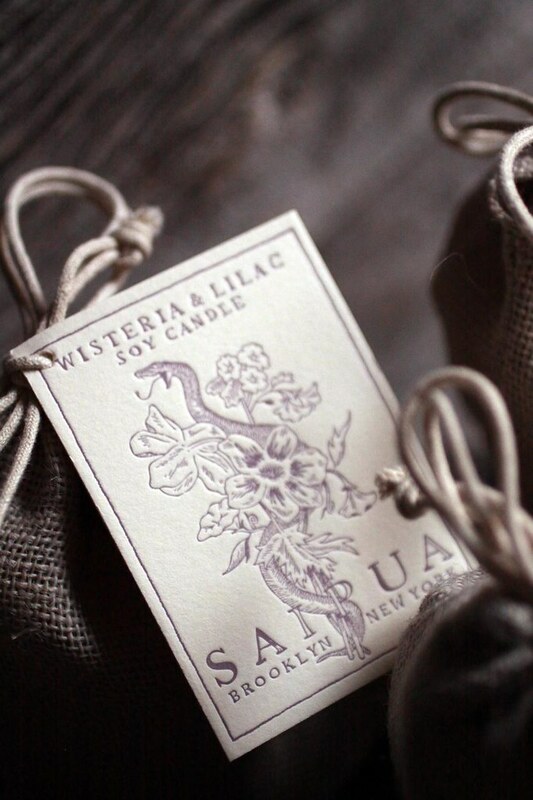 I'm sure the candles are lovely also, but those labels are rockin. What gorgeous labels. You peeps are just way too talented. Mad crazy skills, you have. That label! It's so beautiful! I'd buy it just for that. In fact, I'm going to. Beautiful packaging! Can't wait to smell what's inside!